Destroy the approaching spheres and drive back the princes' invading forces. 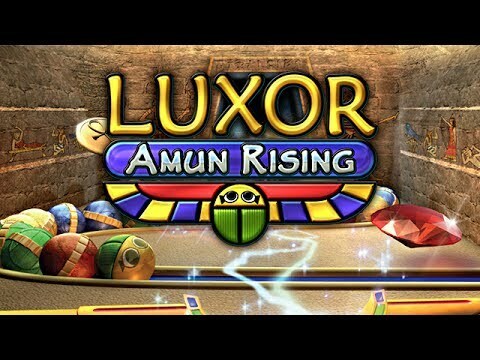 "Luxor: Amun Rising is so addicting. I find myself going to my PC when I know that there are other things I should be doing. Oh well, Amun Rising needs attention too. This game is a must have for any collection." Glory and adventure await as you return to save Ancient Egypt from certain doom in Luxor: Amun Rising. Call forth the powers of Isis to defeat the rebellious princes of Megiddo. Use your magical winged scarab to shoot and destroy the approaching spheres before they reach the Pyramids. Featuring entrancing music, the new Scorpion power-up, and full of exhilarating action, the only question is -- can you drive back the princes' invading forces?